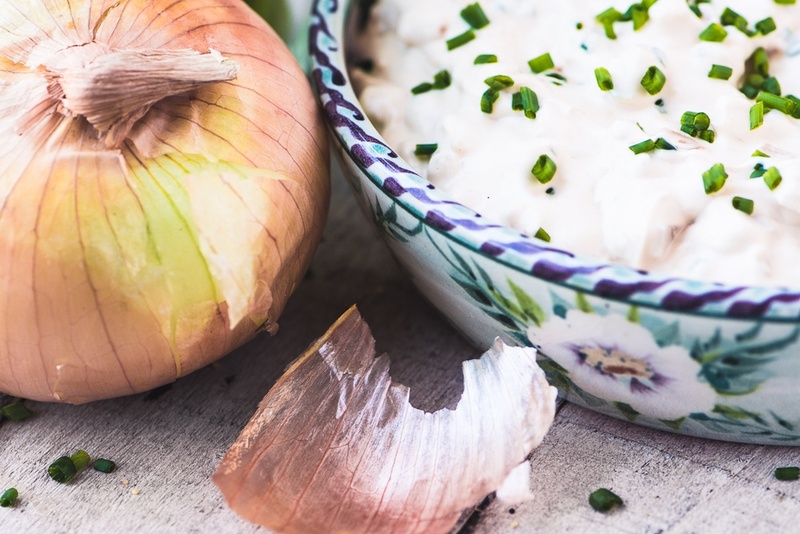 Vidalia Onion Dip ~ an update of the classic onion soup mix dip that we all grew up eating ~ made lighter with yogurt and fresher with minced Vidalias! Mince the onion very finely. You'll want about 1 cup for this recipe. Put it in a mixing bowl along with the sour cream, mayo, yogurt, and soup mix. Blend well. Cover tightly and refrigerate until ready to serve. When ready to serve, transfer the dip to a serving bowl and top with the snipped chives. Serve with chips or with veggie sticks.